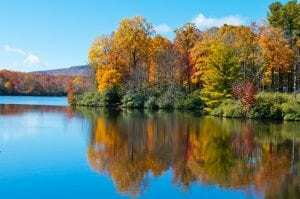 Foscoe Rentals - Blue Ridge Mountains and High Country North Carolina Vacation Rentals! Foscoe Rentals was formed as a part of Foscoe Realty and Development as a service to our real estate buyers. Boone, Blowing Rock, Banner Elk, Echota & Valle Crucis Vacation Rental Accommodations. Foscoe Rentals convenient location is just minutes away from all the High Country’s most famous attractions such as the Blue Ridge Parkway, Tweetsie Railroad, Grandfather Mountain, and for winter attractions visit Hawks Nest Snow Tubing or one of the ski resorts: Sugar Mountain, Beech Mountain, or Appalachian Ski Resort. Appalachian State University and Lees-McRae College are also within 10-15 minutes from most properties. Log Cabins, Condos, Townhomes, and Vacation Homes through the region. 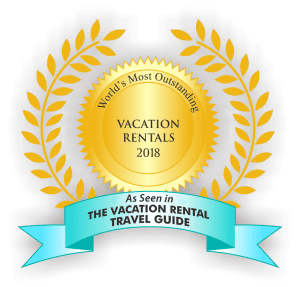 Through hard work, great customer service and excellent housekeeping we have grown into one of the largest vacation rental management companies in the Blue Ridge Mountains and High Country of North Carolina. Email or Call us to reserve your vacation rental accommodation. Interested in Booking a Vacation Rental with Foscoe Rentals? Almost everyone who visits High Country, North Carolina comes to realize that one trip is just not enough. The serene nature, historical landmarks, laughter-filled activities, and stunning vacation homes are too much to absorb through a single getaway. Indeed, with the area's quaint towns and vibrant cities, it may be hard for you to select your ideal North Carolina destination. Therefore, to help narrow your choices, think about what you want most in a vacation. Do you crave the right blend of excitement and relaxation? Do you enjoy a wide variety of amenities, guest services, cleanliness, and proximity to local attractions? Moreover, do you seek the flexibility of pet-friendly or child-friendly rentals at a discount rate? If so, I think we have found a match for you. Foscoe Rentals has made their way to the top with their guest services and top-notch facilities. In fact, Foscoe Rentals brags that about 50% of their visitors are repeat guests. Think about it—why would so many people return if not for their memorable experiences. Plus, Foscoe Rentals makes your trip easy with discount rates on high-quality rentals. Explore a range of luxurious log cabins, houses, and condos—all with stunning mountain views. Furthermore, we suggest you lavish in the amenities such as hot tubs, fitness centers, pool tables, and more. You might consider this type of getaway for families, groups, and solos alike. We invite you to find your North Carolina retreat to remember with Foscoe Rentals and Find Rentals. Foscoe Rentals is situated near some of High Country’s most popular spots. For instance, once you have settled in, you will be just minutes away from the Grandfather Mountain, Hawks Nest (and other ski resorts), plus the Blue Ridge Parkway, as well as the Tweetsie Railroad. On the other hand, you can also try day trips to wineries, orchard tours, and unique farms nearby. Hence, with these plentiful activities, High Country is known as a year-round travel destination. Regardless of the season, what do you feel you will enjoy? What types of interests are you drawn toward? Indeed, why not take a trip and create the lasting memories you deserve? Have you rented with Foscoe Rentals? How would you rate your overall experience with Foscoe Rentals?